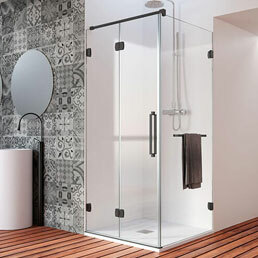 And we are in this position not only due to our quality, but also because at PROFILTEK we make your bathroom enclosure to the exact size and shape you need, and exactly the way you want it - totally personalized dimensions, functionality, finishes and decoration. 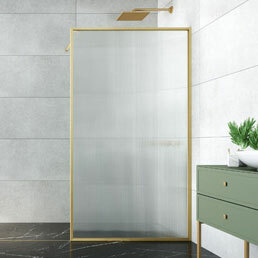 Just tell us what you need, what you dream of having, how you would like your bathroom enclosure to be... and we'll make it for you. 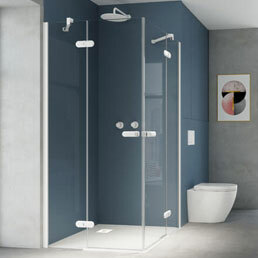 WHAT KIND OF SHOWER OR BATHTUB ENCLOSURE DO YOU WANT? 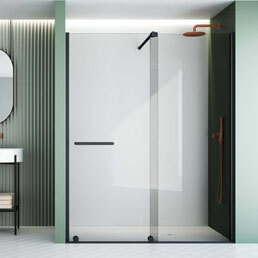 We can offer you Sliding, Swinging, and Folding bathroom enclosures, in addition to solutions with one or two fixed panels in the Walk-in and Fijos One collections. We also have the answer for persons with reduced mobility, thanks to our PMR series. 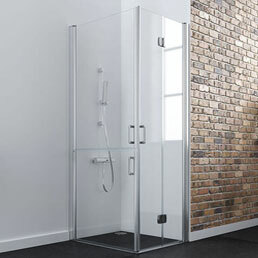 But if what you need is something completely out of the ordinary because your shower space is "kind of odd"... well, we can cater for your needs completely with our Special series of enclosures. WOULDN'T YOU LOVE TO FILL YOUR BATHROOM WITH COLOR? Well you can - with IMAGIK, the system for digital printing direct onto glass that allows any image, color or design to be reproduced. 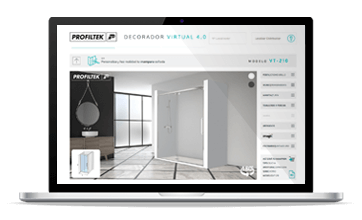 You can use our Virtual Decorator to choose from among 70 designs in our collections, or you can choose your own personalized design. 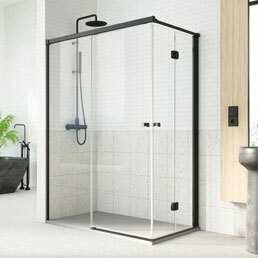 After TEKNOCLEAN treatment, the glass in your enclosure repels liquids and build-up of dirt and limescale is minimized, making cleaning easier and keeping your enclosure looking newer for longer. 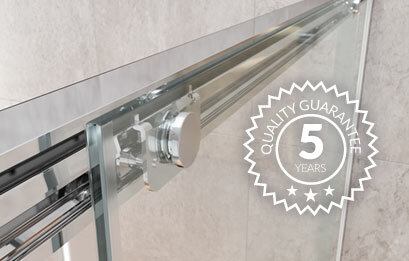 We are so confident that we do things well that we offer you a full 5-year guarantee on all our bathroom enclosures.